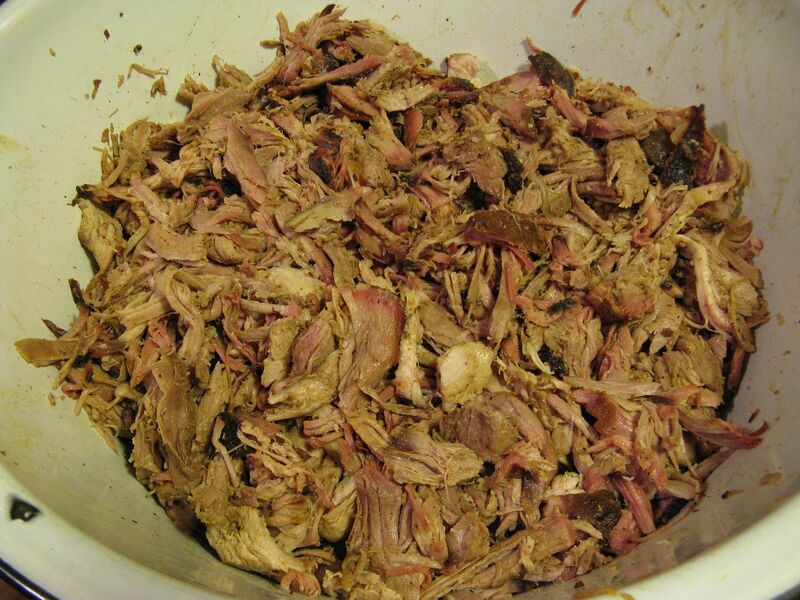 So, what did I do with all of this pulled pork? 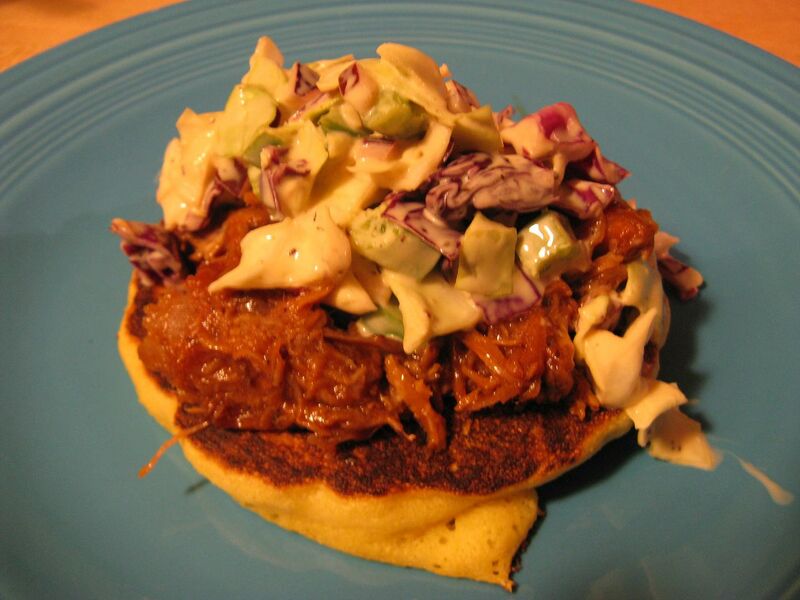 We made some homemade corn cakes and piled the pulled pork and slaw on top. Here is what we did. 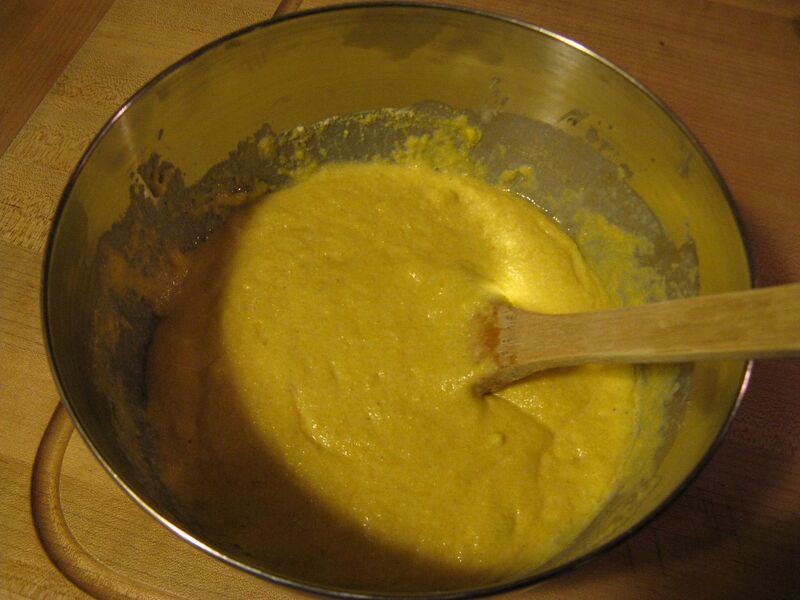 First, I made a batch of corn bread batter. My recipe is a combination of various recipes that I have found on the internet. I have always kept in mind that my Mom always put more corn meal in the batter than flour. We just like that taste and texture that the extra meal adds to the final product. Also, no sugar for me. I prefer my corn bread savory. 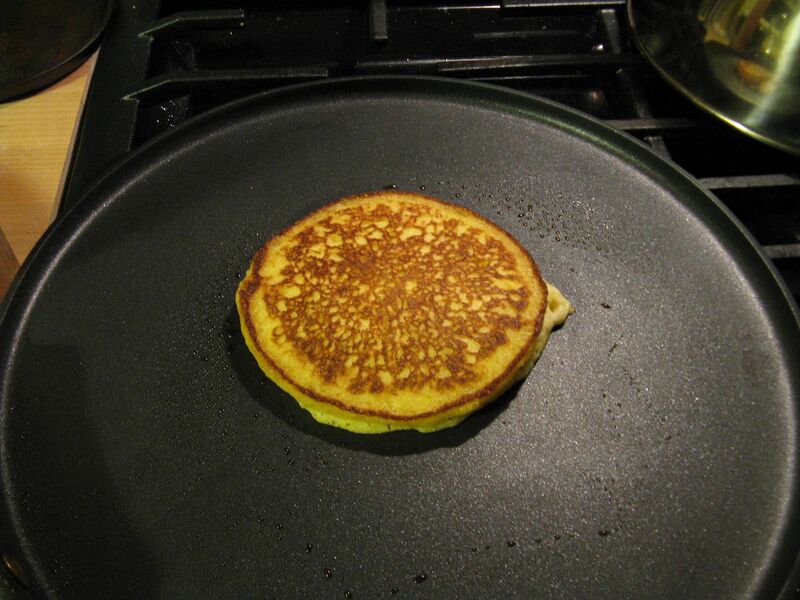 In order to get a thinner consistency for a corn cake, I added extra buttermilk, about 1/2 cup more. 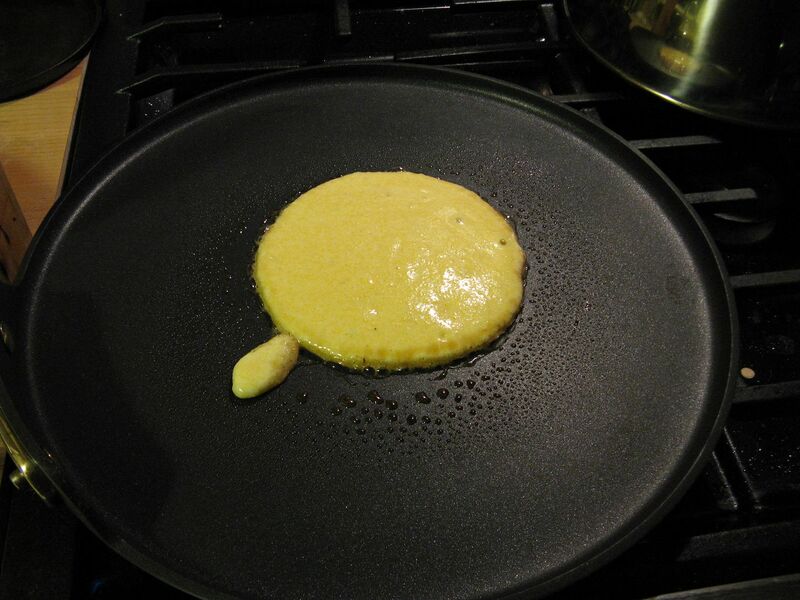 Then, I heated up my griddle pan that was lightly sprayed with cooking spray. Then, I added batter in 1/4 cup scoops, flipping when they started to look firm. Bottom line, I cooked them like a pancake. Of course, I had to try one for quality purposes. They were outstanding. Slightly crisp on the outside, moist and fluffy on the inside. These just might be our new pancake recipe. We like them that much! While I was making the corn cakes, Hope heated up some pulled pork in a sauce pan with some Sweet Baby Rays Original BBQ sauce. Then we topped our cakes with a healthy dollop of pulled pork and slaw. This was an outstanding dinner. Something different than the usual pulled pork sandwich. We will be making this again. In the top 5 at least! I recommend it highly Gus!